Africa Movie Academy Awards, which was established in 2005 has served as a platform on which African film makers gain recognition in and outside the continent. This Academy has created a link between Africans at home and their counterparts in diaspora. It is that time again when African Film makers are celebrated by AMAA, rewarding them for their professionalism, excellence and providing an avenue for networking opportunities in the most glamorous and prestigious event in Africa for Africans and by Africans. At a well attended media parley, the Founder of AMAA, Peace Anyiam-Osigwe and her team used the opportunity to unveil ‘The Road to AMAA 2016′ which starts with a tour of all the film hubs in Nigeria and some African cities tagged AMAA roadshow. The roadshow kicks off tomorrow 27 January, in Asaba, Delta state and Benin Edo state simultaneously. This roadshow will see the AMAA team storm Port Harcourt, Enugu, Ibadan, Jos, Owerri, Kano, Kaduna, several other states of the federation. During the tour AMAA will hold town hall meetings with film makers and promote the ‘So you wanna act’ project in the respective states. The ‘So you wanna act’ is a project designed by AMAA to train young people in different aspect of film making and successful participants would be added to the AMAA data base which hundreds of Producers access to hire for movie projects. Another project that AMAA will be promoting is the Amaka Igwe Script Writing Competition; And to cap it all the Roadshow hopefully seeks to increase peoples awareness to the build up for AMAA 2016. After the road show, between 17–20 March 2016 AMAA will head to Dubai for the African Business Cinema round table where investors will interact with Filmmakers on funding for African cinema and also give room to discussion on how to fight piracy to a standstill. Still in Dubai, the nominations for the 2016 AMAA will be announced at a colorful Gala leading to the Awards slated for 30 April 2016. 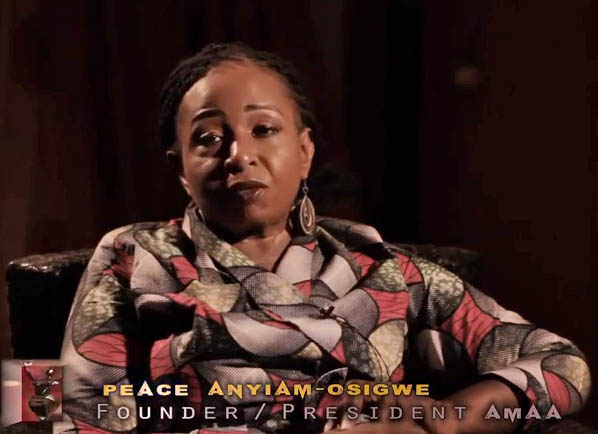 AMAA over the years has been known for its ability to give her sponsors visibility and mileage. So as a platform for promotion of African Cinema and Culture; Government and Corporate Nigeria have been invited to key into sponsorship of AMAA 2016 which year after year puts African Cinema on the world stage.